Painted glass products are often found in areas associated with hygiene such as the kitchen and bathroom. Painted Glass is an ideal decorated glass product for kitchens and bathroom areas as the process leaves the external surface smooth and therefore less likely to collect bacteria. 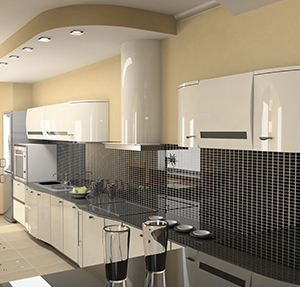 Often painted glass is used with kitchen glass splashbacks as they can add style and colour to your kitchen theme. Combining low maintenance, tough resilience and elegance, kitchen glass splashbacks can provide the “WOW factor” to any kitchen or bathroom. 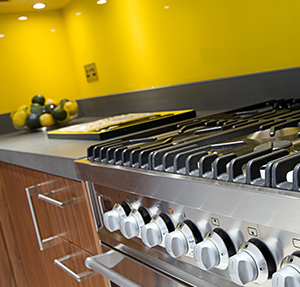 Glass Splashbacks are commonly supplied in 6mm toughened glass with polished edges and cut-outs and holes as required, and from ‘low-iron’ painted glass to give true representation of the applied paint colour. CNC shaping is also available.